Recognized for her “polished tone,” Sadie Glass is an active educator and performer in the San Francisco Bay Area. Featured in Early Music America’s Early to Rise Series, she is earning praise as a baroque and natural horn specialist. Sadie performs regularly with period-instrument ensembles across North America, including American Bach Soloists, Portland Baroque Orchestra, Musica Angelica, Oregon Bach Festival, Valley of the Moon Music Festival, and more. 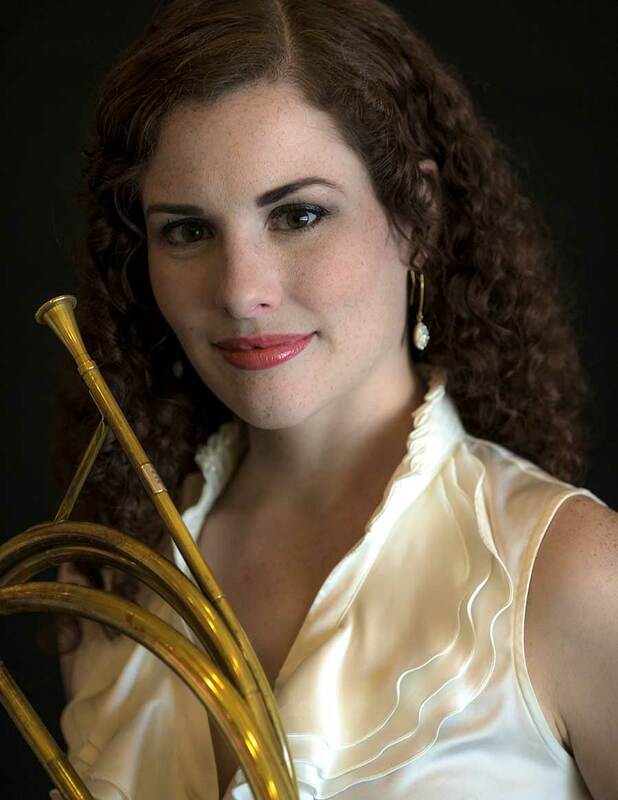 On the modern horn, Sadie is a tenured member of the Monterey Symphony and has performed with many orchestras in the San Francisco Bay Area, including the Santa Rosa Symphony, Symphony Silicon Valley, and Sacramento Philharmonic and Opera. As an educator, Sadie is currently on faculty at Las Positas College and Pacific Union College. She has also been a teaching artist with El Sistema and arts integration programs, and as a band assistant with various schools in throughout Northern CA. Beyond teaching, Sadie has held numerous administrative positions including the Associate Director for the New Millennium Concert Series and is currently the Marketing Director of the Valley of the Moon Music Festival. Sadie completed a Master’s degree at the University of Illinois at Urbana-Champaign, studying with Bernhard Scully and earned her Bachelor’s degree from University of Wisconsin Stevens Point, studying with Dr. Patrick Miles. In her free time, Sadie enjoys spending time outdoors and traveling with her husband, son, and two dogs, Callie and Macy.